Help Ensure that Every Child Has a Chance to Play Baseball! Watching a community of players, parents, coaches, buddies, fans and volunteers come together to play baseball and embrace diversity is priceless! However, operating a baseball league is costly, so we can't do it without your support! The Miracle League of Massachusetts relies on individual and business donations to cover our expenses, which include uniforms, volunteer t-shirts, baseball equipment, trophies, insurance and other miscellaneous business expenses. These expenses amount to over $50 per athlete per season. And that doesn't include any costs associated with the maintenance of the Joseph Lalli Miracle Field! Help ensure that these costs are covered and that every child has a chance to play baseball by making a tax-free donation to Miracle League of Massachusetts today! 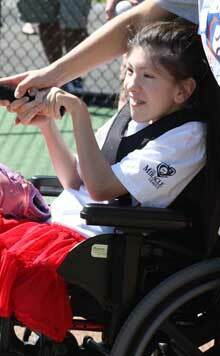 The Miracle League of Massachusetts is a 501(c)(3) non-public charity. All donations are tax deductible. We are dependent on the support of individuals and corporate sponsors. Gifts of appreciated stock or mutual funds are another great way to give to Miracle League of MA. You receive an income tax deduction for the full fair market value of securities you have owned more than one year—subject to the usual limitations—and capital gains taxes will be completely avoided on these assets. To transfer securities to the Miracle League of Massachusetts, please email us at fundraising@miracleleagueofma.com or call us at 978-263-3043.